Getting your head around the finances of your business is in many ways even more important than doing so in your personal life. While you still want to make sure that money doesn't slip through your fingers too easily regardless of whether that’s in your business or personal life, for most people, their business feeds them. It pays their salary and hopefully builds their net worth faster too. So, fix your business’ financial management first and your own spending right after that. Here are a few suggestions on how to improve your business’ financial management going forward. When you’re managing the accounting yourself or you have someone to do that in-house, then use financial software to get a better handle on the financial side of the business. The choice of software is something people obsess over, but it’s more important to use the financial software fully than it is about selecting the absolute best software for the task. Look at the reviews for the best financial software to determine which one is going to be a good fit for your business at its current size. Consider whether a bookkeeper or accountant uses a certain software to prepare their financial reports and whether it will make your life easier to adopt the same financial package in-house too. Once you have the software, you should keep the numbers updated. This way, you can generate regular weekly reports (or more often) to keep an eye on cashflow numbers and overall profitability. When sales drop, and the profits turn into losses, you should not get surprised by that. If you find it useful, you can hire a bookkeeper or outsource the task to a freelancer who does bookkeeping. They can create reliable records for you to pass on to your accountant. This can both save you time to focus on other things and avoid you getting behind with entering receipts into the expense log. While keeping an eye on the sales figures matters, holding spending down helps to turn a profit too. When business expenses face rising costs every month, then it makes it harder to be fiscally responsible in the business. Use competitive bidding and seek discounts or the best online price for goods that can be bought cheaper. When your business is frugal, you have the money available to afford business loans from Lending Express to seek expansion where there’s the opportunity to do so. Frugality pays dividends because with lower expenses the business has free cashflow sufficient to convince a lender that they’re a safer bet to lend money to. A cash-strapped business that spends every penny they receive in sales cannot say the same despite perhaps needing the loan more! Find free or inexpensive alternatives rather than opting for the latest online subscription from a software-as-a-service provider. For instance, Trello is a popular KANBAN board organizer app that teams use to manage shared tasks better. It becomes progressively more expensive the more employees join and the more boards are used. However, it’s possible to install a free open-source KANBAN board that runs on an internet web server with no associated costs at all. Improving the finances of your business requires greater fiscal discipline than perhaps was exercised before. But never mind. 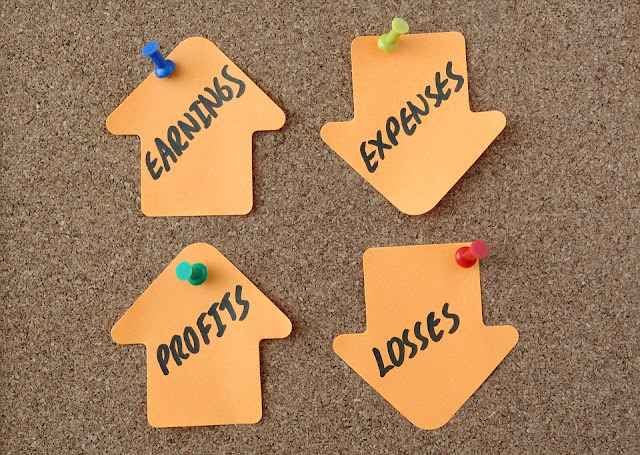 By being mindful about expenses and economizing where necessary, along with improved financial reporting and monitoring, you will be on the right financial track once again.